Created in 1935 by engineer Ottavio Luzzati. Hard to find fault in this truly handsome machine. 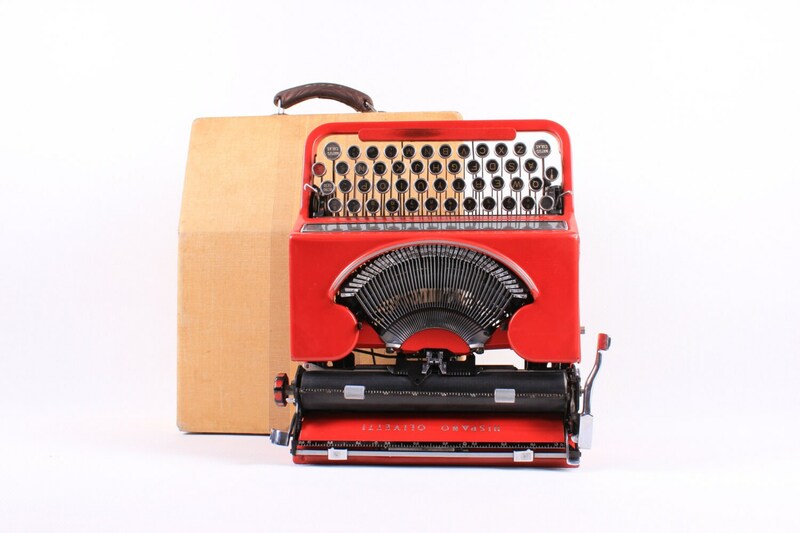 Designed by Alexander "Xanti" Schawinsky, the Olivetti 46 / 42 reflects German "Bauhaus School". This model was used by Thor Heyerdahl. 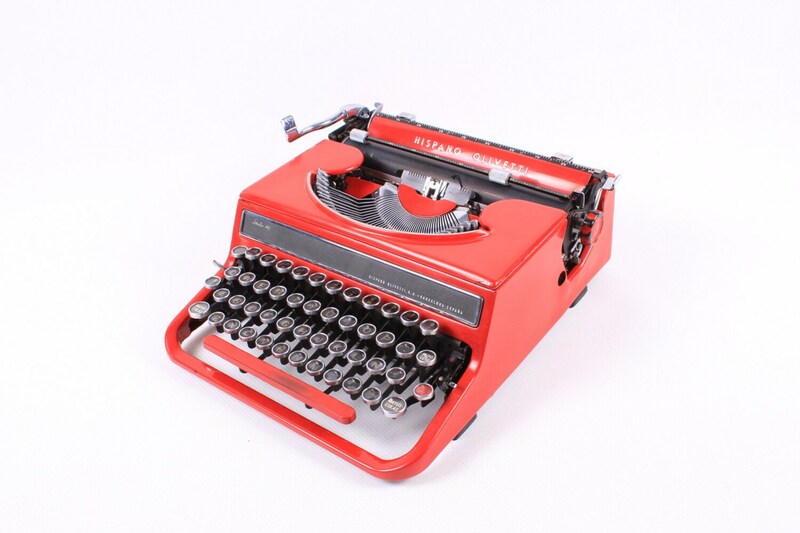 Red version of this model is quite rare! 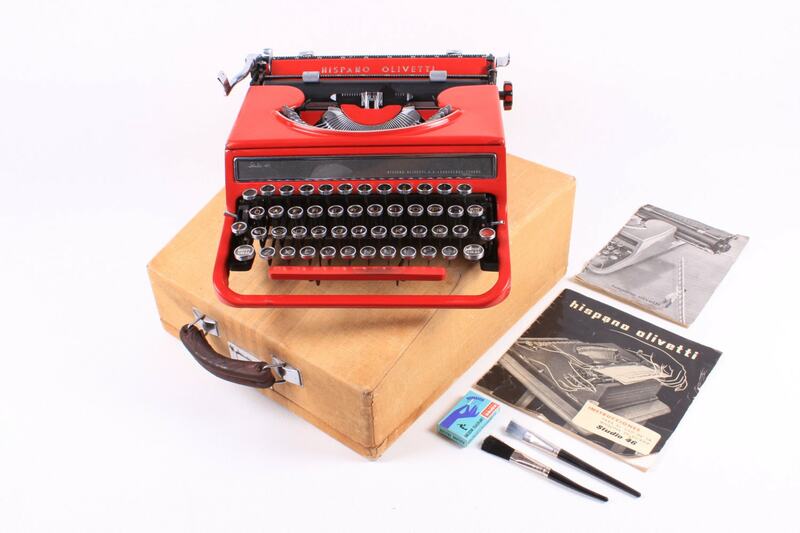 Today an Olivetti Studio 42 is displayed in the permanent collection of the Triennale Design Museum in Milan. Good vintage condition, typical dents and scratches on the paint, in a few places cracked paint, which can be repaired/professionally repainted on request (if you are interested in refurbishing ask us and we'll send you the details). Refurbished, clean, full working condition with the original wooden case covered in yellowish beige striped fabric. The case is a bit worn out, but in general very good condition.